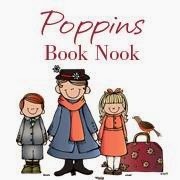 Poppins Book Nook virtual book club for 2014-2015 is officially underway! This month's theme was Where in the World? 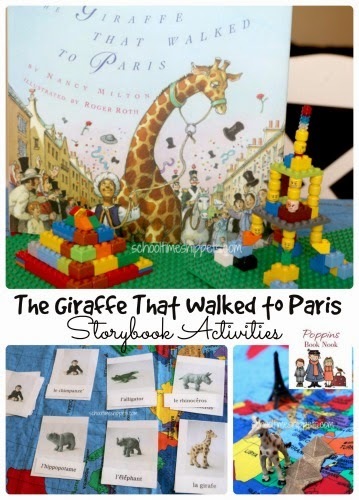 There were so many great books to choose from, but in the end I felt inspired by the book, The Giraffe that Walked to Paris by Nancy Milton. It is actually part of the Five in a Row curriculum that we used for my son's 4K and 5K years, but we never got around to reading it because it was out of print and our library did not carry it. However, just last year it was brought back to the printing press and I purchased it with the intent to row it last summer. Well, that didn't happen and sadly it was sitting on my designated Five In a Row bookshelf in the school room closet. But thankfully, the Poppins Book Nook theme, Where in the World? was just the excuse to bring it out! The Giraffe that Walked to Paris is surprisingly inspired by a true story! It's definitely a book to check out; it is a longer book, but the illustrations are beautiful! 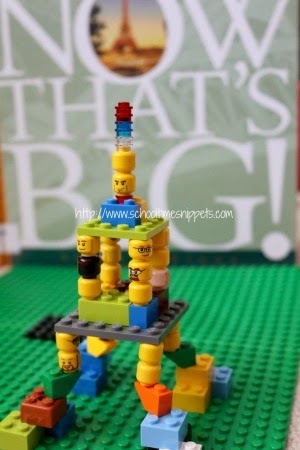 To bring our story to life I challenged my son to make some landmarks from the book using Legos. He was up for the challenge and I for once enjoyed digging through his Lego bin for specific pieces, too. To represent Egypt, we built a pyramid. We started with a square base and then built on top of that to form the pyramid shape. 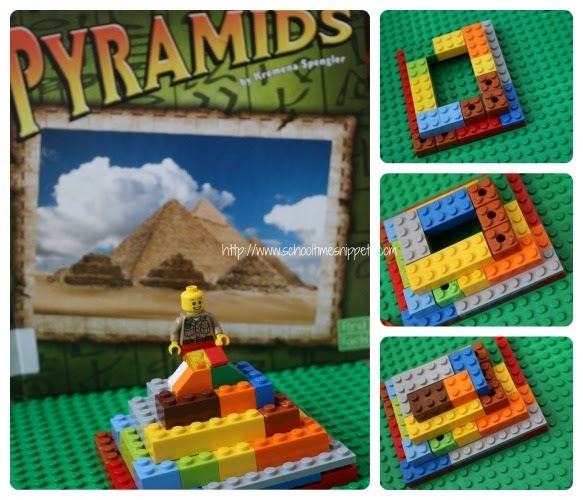 While my son was building it, I read through a couple of books I picked up from the library about pyramids. For Paris, France we built The Eiffel Tower! And truly it is the most unique representation of The Eiffel Tower I have every seen! Maybe you, too? We didn't have enough square Lego bricks surprisingly, so we had to get a bit creative and use Lego heads. After building our landmarks we brought out our fabric world map, Landmark Toob and Zoo Babies Toob set and found Where in the World? this story took place--Egypt, the Mediterranean Sea, and France. Following the path ourselves made us realize getting a giraffe to Paris was no easy task. I also thought this book presented a great reason to learn some French words! The book actually uses the term, la girafe, which is French for giraffe throughout the book and on the page where la girafe is brought to the zoo, the signs for the animals are also in French! Since I don't know one bit of French, we pulled up Google Translate. I made up some 3-Part Montessori Cards so we could learn the names of some other animals that might be found at the zoo, such as: hippopotamus, rhinoceros, elephant, alligator, monkey, and giraffe. We typed in the animal name in Google Translate and had it translate it into French. Good thing for Google Translate! I would've totally botched the names! After listening and trying to pronounce the names ourselves, I had my son listen to the word and then he had to match the animal name to the picture. The animal names in French are kind of similar to English, but there is a big pronunciation difference; he did quite well though. This was my first time using and creating Montessori 3-Part cards; hopefully I made them correctly and the French spellings are correct! If you think you could use these for an activity of your own, click to download a copy of 3 Part Zoo Animal Cards in French HERE. Needless to say, I am so glad we used this book for the Poppins Book Nook theme, Where in the World? this month. Taking part of this book club makes me thankful for our time with Five in a Row; the curriculum taught me not to judge a book by its cover and that there is truly many opportunities to learn while reading if you are willing to go beyond the pages and truly embrace the illustrations and text. See you next month! P.s. Take a peak at Where in the World? the other co-hosts traveled to this month! Now, link up your Where In the World? book themed activities!